In Contidos Dixitais we help companies to launch their e-learning training projects with the least stress possible using one of the simplest and easiest-to-use lms on the market: Chamilo LMS. 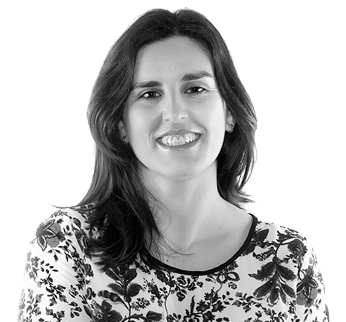 Our company was founded in 2006 by Noa Orizales Iglesias, a Galician woman who was looking for a motivating project that allowed mobility throughout the country and did not require working 24 hours a day for almost third world salaries. and less for a young company like ours that also did not have “padrinos” in the Galician e-learning landscape. So we shifted our focus and pointed the light towards new alternatives, becoming 2007 the first Spanish provider of Dokeos in Spain, one of the main alternatives to Moodle at the time. “It has been a pleasure to work with Noa and his team, who commissioned the production of a multimedia course. Impeccable management in time and results, mime and dedication to the project and a professional and exquisite treatment. I also recommend his facet as a teacher, since I trained in the use of Lectora. Not only does it dominate the subject, but it knows how to explain it and put the examples and practices necessary for its interiorization “. For a while we were providers of Dokeos and gradually we became more and more involved in the development of that software and in the maintenance of its community. There we established professional contact and friendship with Yannick Warnier, who at that time was head of development of Dokeos and had initiated the creation of Dokeos Latin America. Little by little we realized that Dokeos’ philosophy did not fit our worldview, our ideals, or our way of doing things, so, after many cafes, long talks by Skype and occasional presence, we launched the foundation of the Chamilo project by Yannick . In 2010 the Chamilo Association was born and Noa was part of the first board of directors that defined its statutes and its objectives. And so began the journey towards a radical free software project and more respect for your community of contributors. If you want to know more about this project, you can consult our section on Chamilo here. Since the founding of the Association, we have always been part of the board of directors (which is chosen every two years by its partners) and we have supported the project 100% in all possible ways: , With our developments, tutorials and themes, with our money, sharing, teaching and doing everything possible for the Chamilo community to grow. And here we continue, contributing everything we can to the global e-learning panorama from a small corner of Galicia. We have never received a single subsidy. All we are have done it alone with the sweat of our brow. Whenever you call us for free events related to Chamilo, we are the first to be there without charging you a hard. We allocate 5% of our annual profits to Chamilo and other free software projects. Our company collaborates with many social causes and associations that we help with time, money or developments.